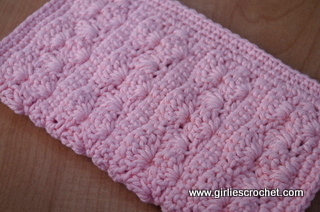 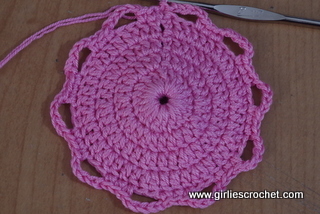 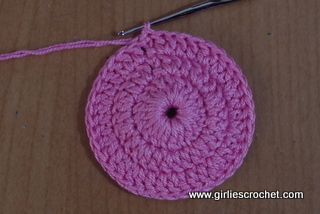 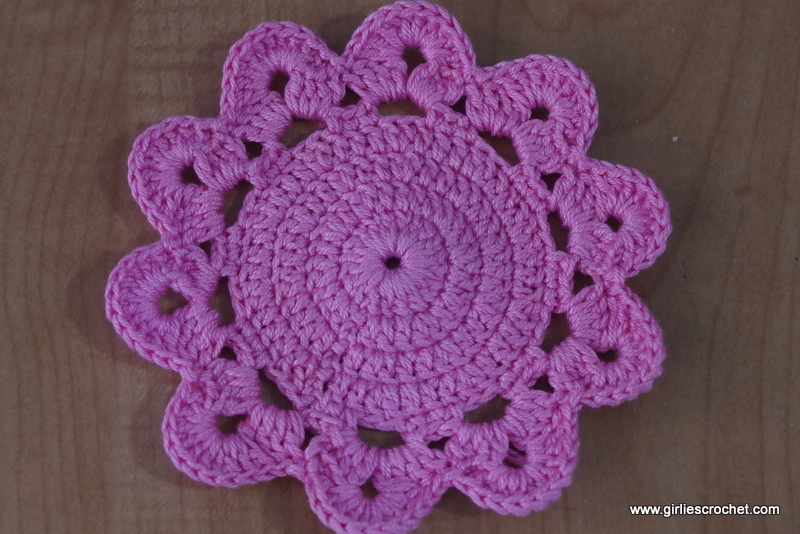 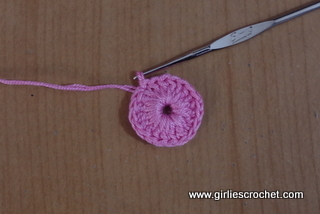 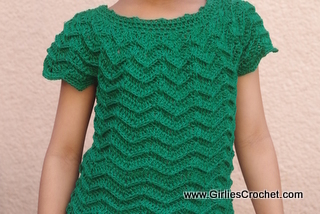 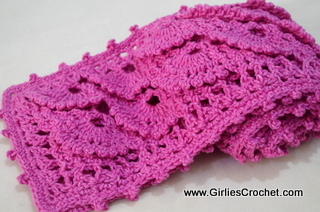 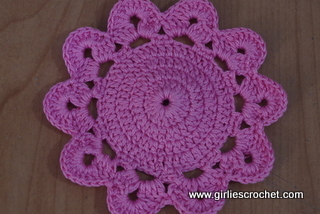 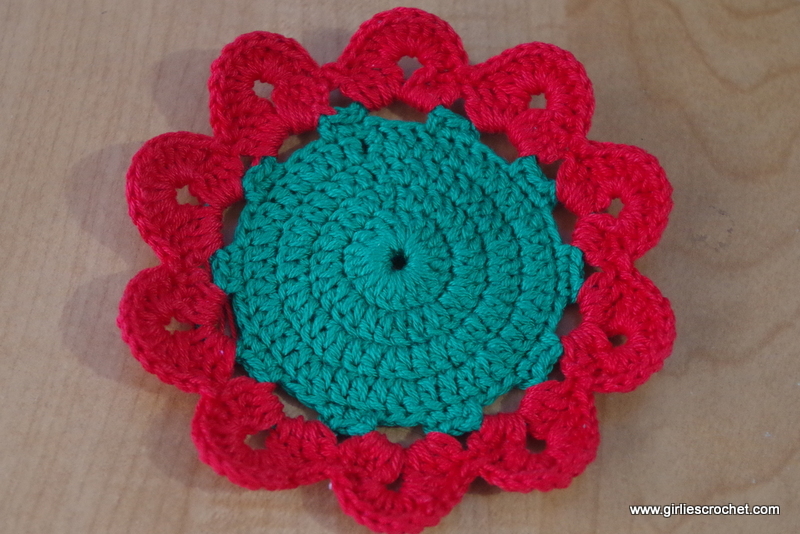 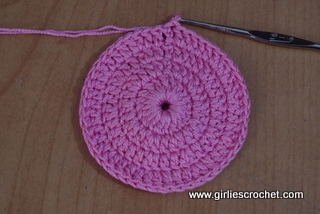 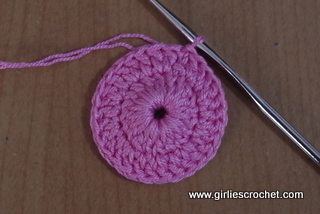 This is a free crochet pattern for Crochet Flower Coaster with photo tutorial in each steps. 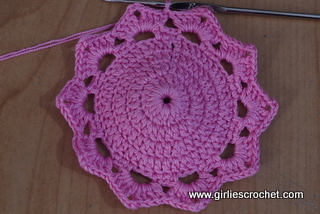 Ch 6, sl st to form a ring. 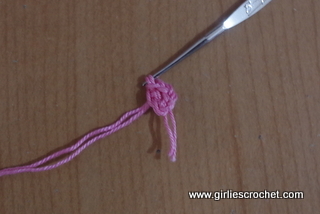 Round 6: Sl st 3x until you reach first loop, ch3(consider as 1st dc), 3dc, ch3, 4 dc in the same loop, (4dc-ch3-4dc) in each loops, end w/ sl st in 1st dc to join. 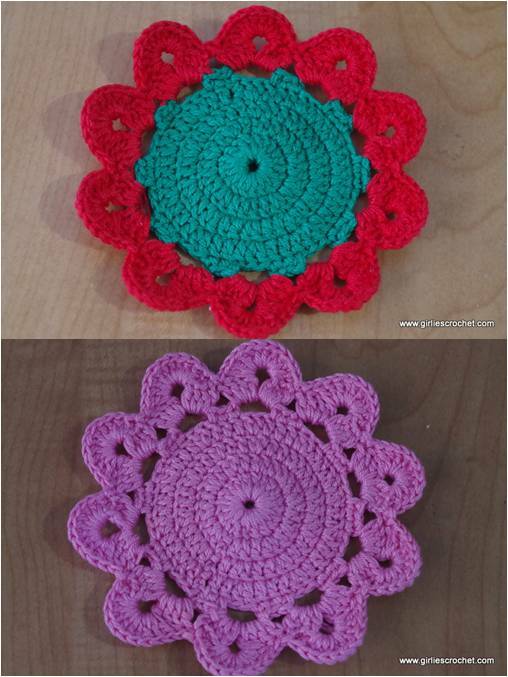 Round 7: 10 dc in next ch 3 sp, (skip 3dc, sl st next 2sts, skip 3dc, 10 dc in next ch3 sp) around, end w/ sl st in 1st ch to join.